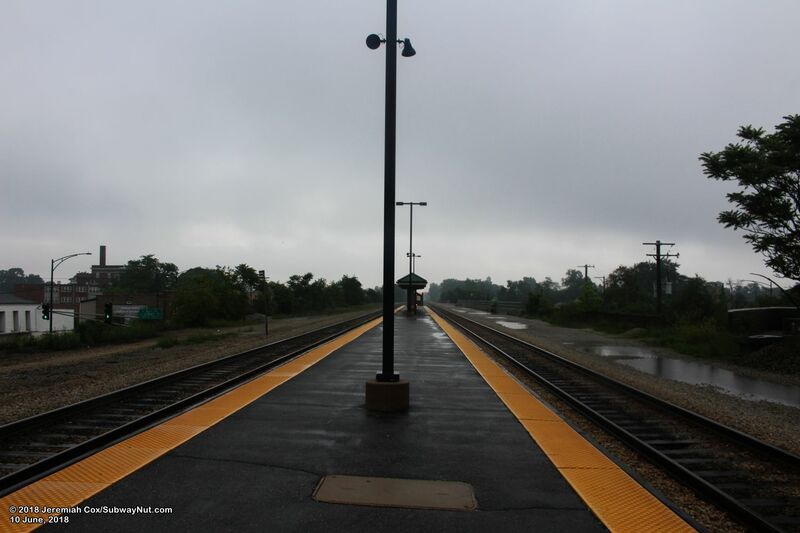 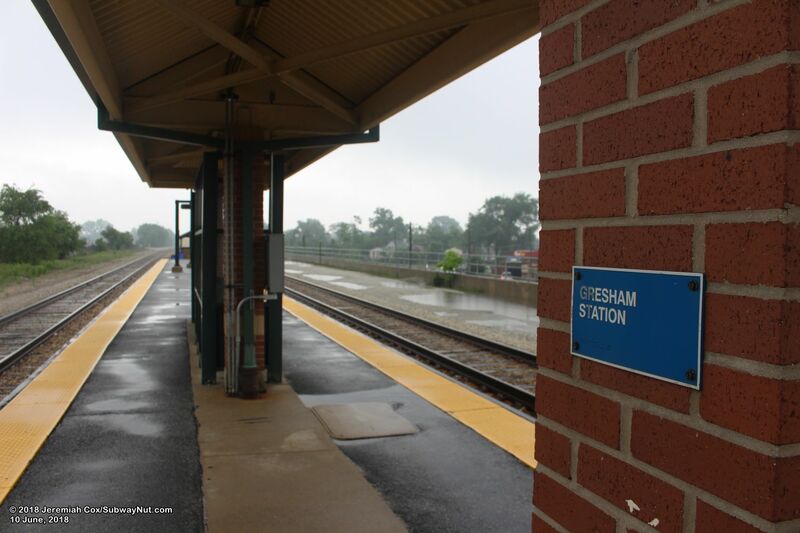 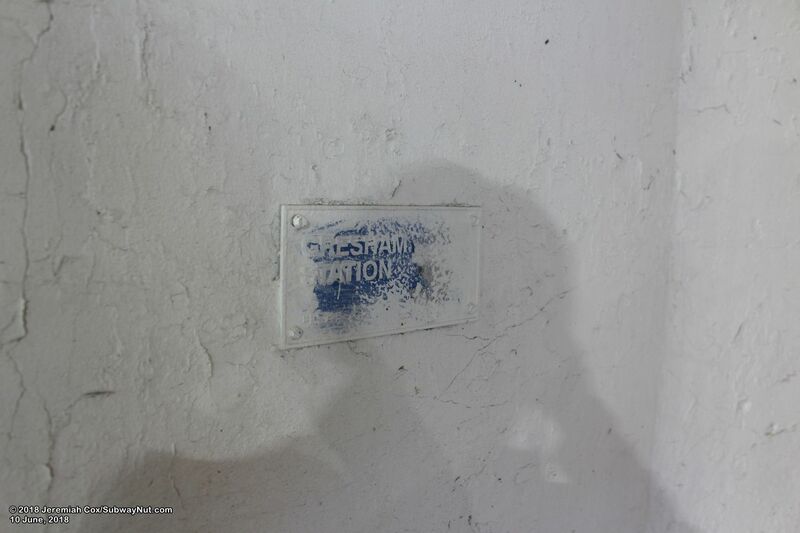 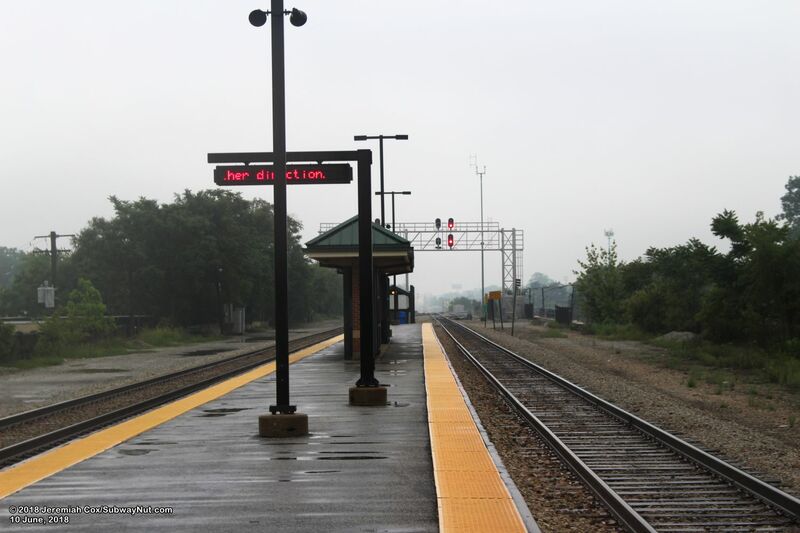 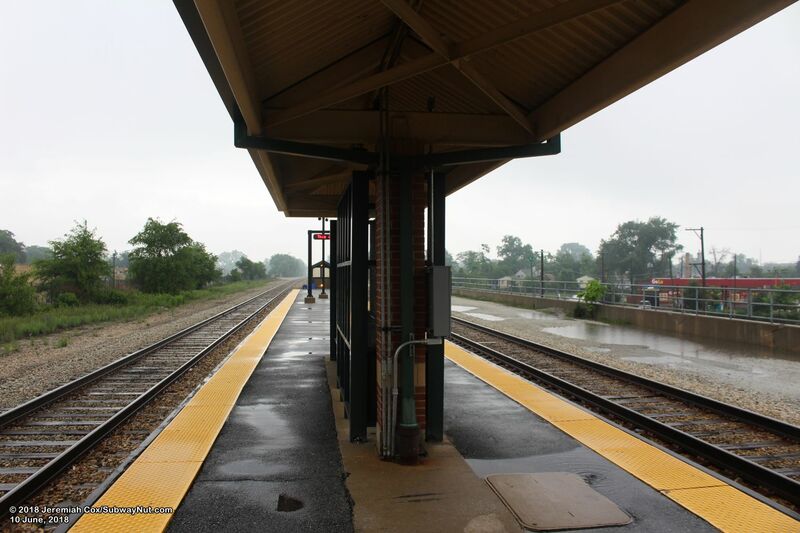 Gresham is the station just north of Gresham Junction where the Suburban Line splits off from the main line, taking a slightly less direct route and making fequent stops every 4 blocks in the Beverly Hills Neighborhood on it's 6.7 mile long branch line to Blue Island. 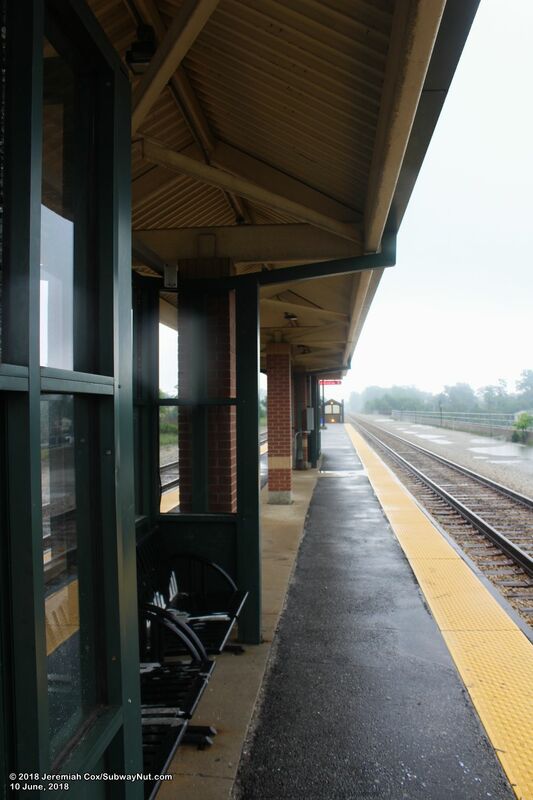 Service to Gresham is nearly entirely from local trains running via the Suburban Line. 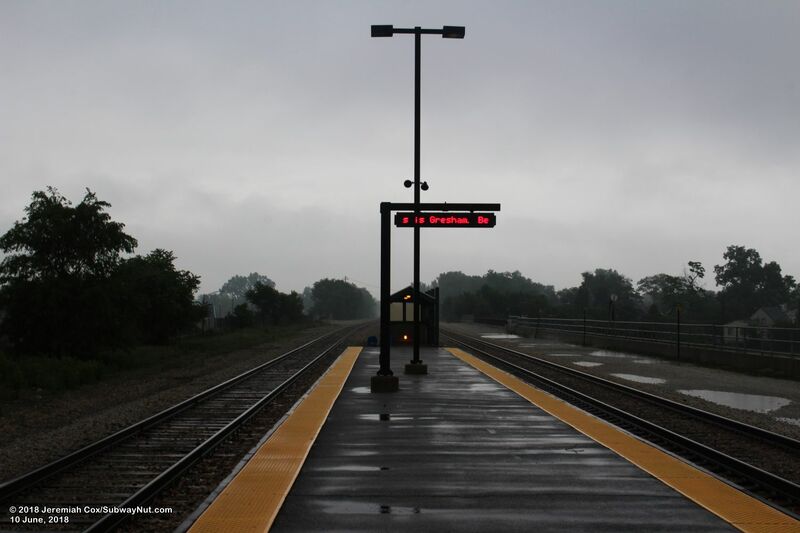 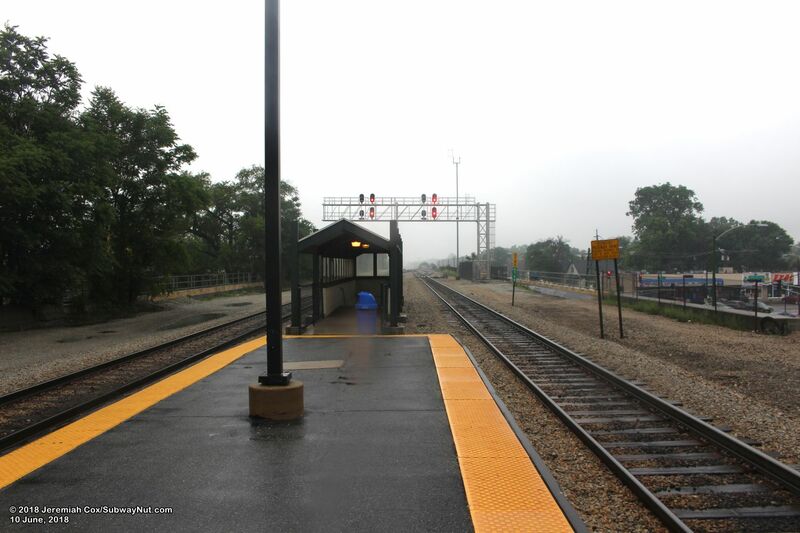 A few rush hour trains do stop in Gresham after operating via the Rock Island Main Express line, making the rush hours only intermediate stops along it at 95th St-Longwood and 103rd St-Washington Heights. 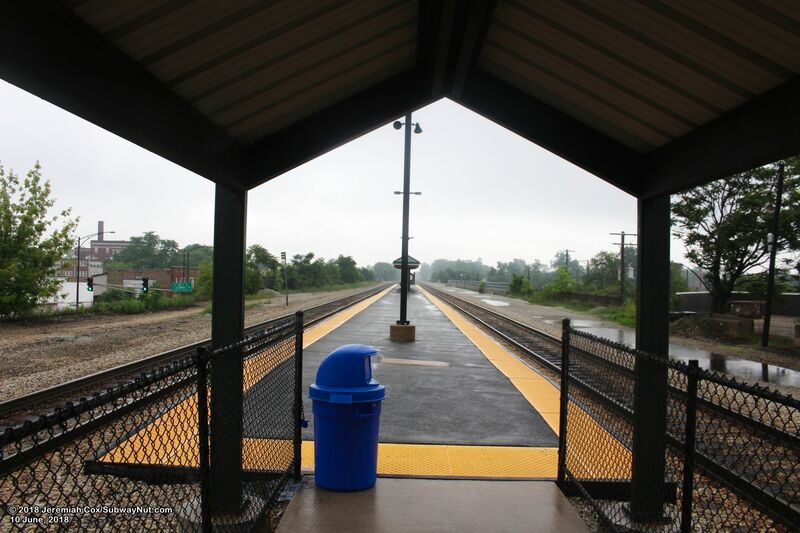 The station is located on an elevated concrete embankment with a single island platform for the two track line, which has room for two additional tracks. 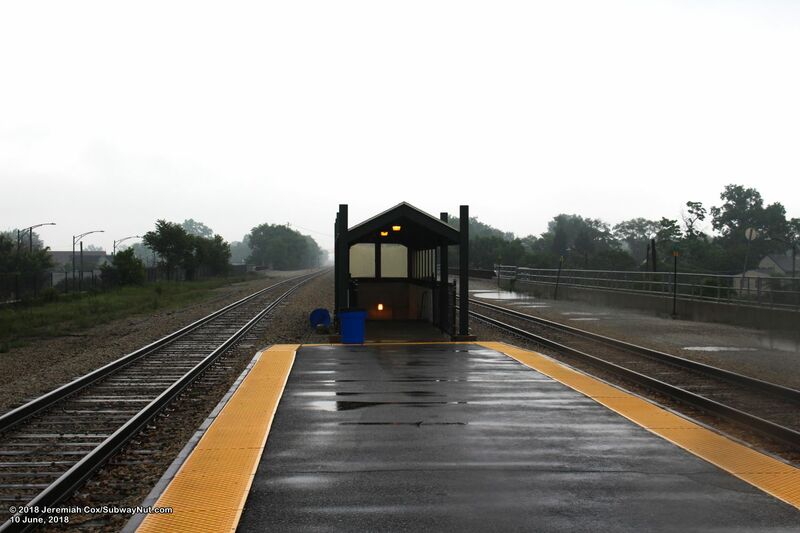 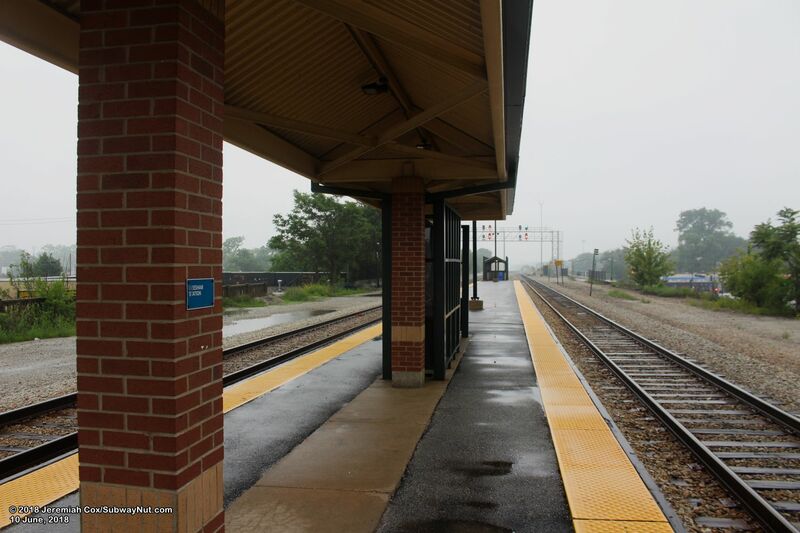 This island platform and the platform begins with a staircase up from the north sidewalk of 87th Street, and extends north, crossing over Vincennes Avenue, which lacks a station entrance, and ending with another staircase off the northern end of the platform down to a pedestrian tunnel. 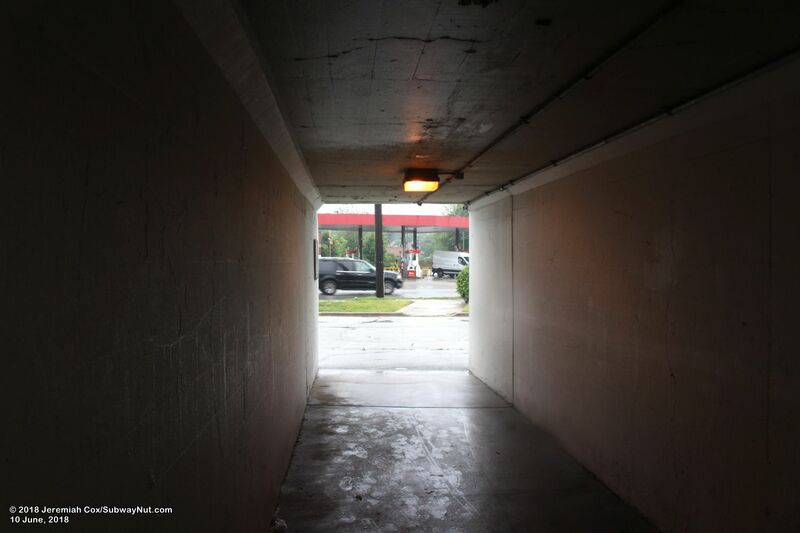 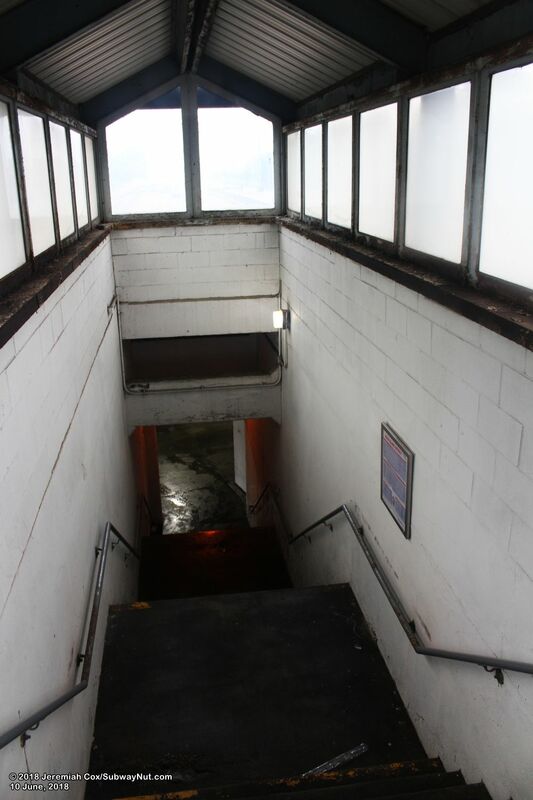 This pedestrian tunnel leads to portals at both ends of the rail line. 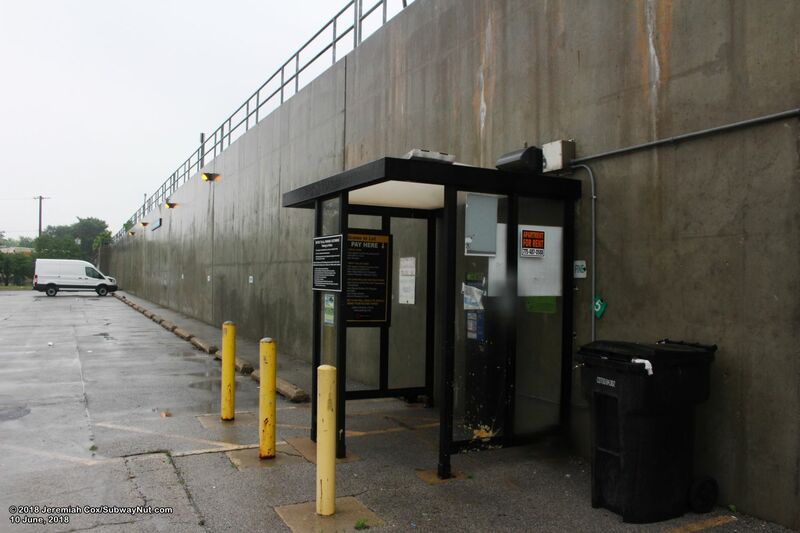 One portal leads west directly to a pedestrian crosswalk across Summit Avenue which runs parralell to the rail line. 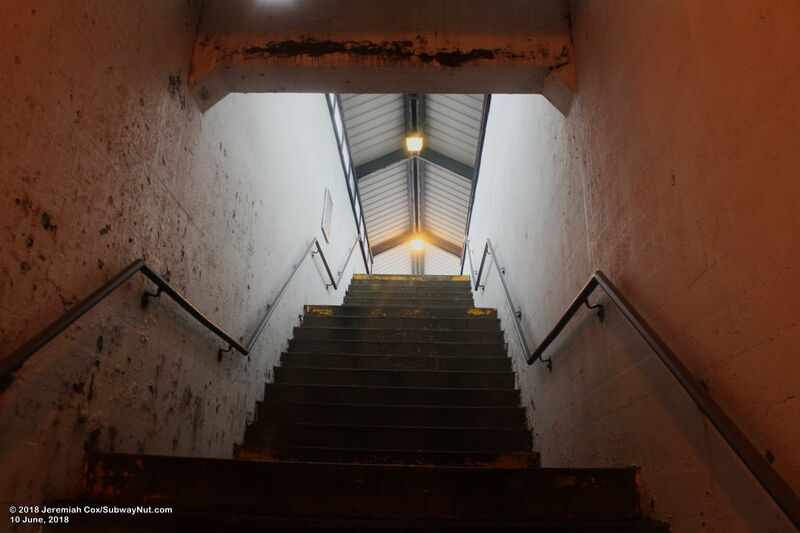 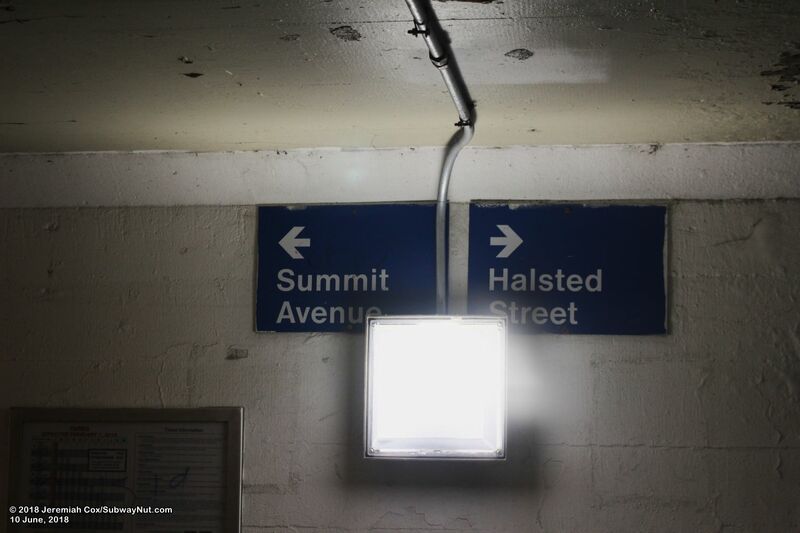 The other end of the tunnel leads out to a small 43 space parking lot nestled in a triangle formed by Halsted Street, Vinceness Avenue and the rail line. 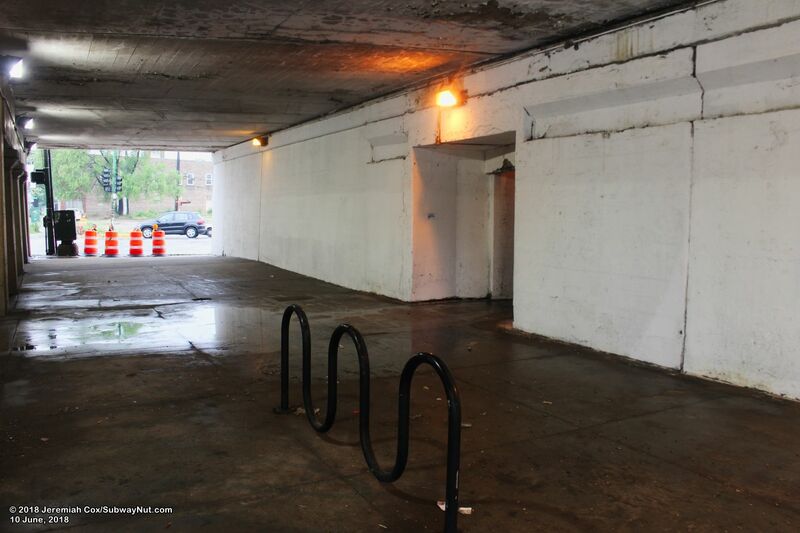 Threre is an additoinal 162 space parking lot across 87th Street south of the station. 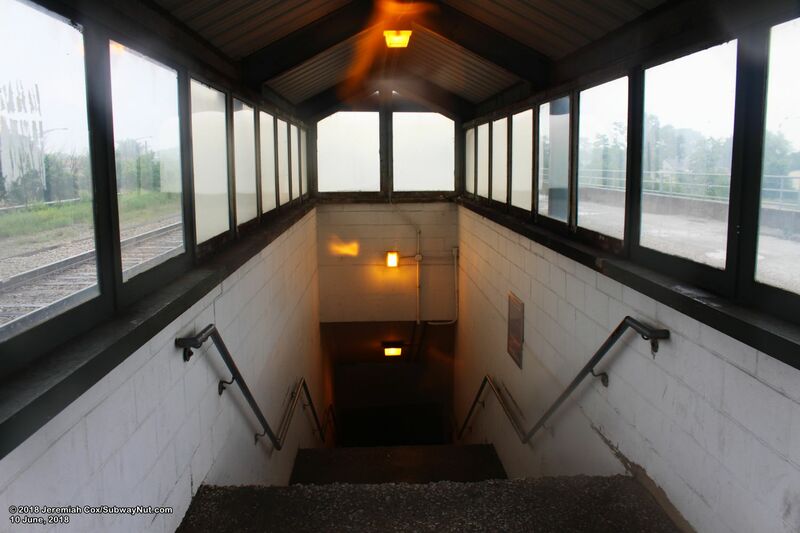 For passenger amenities, the staircase up to each platform is covered by a roof with glass windscreens. 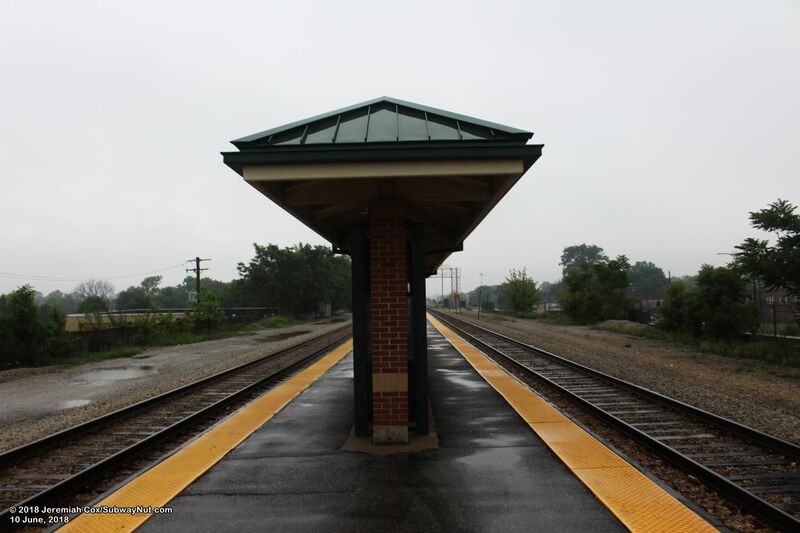 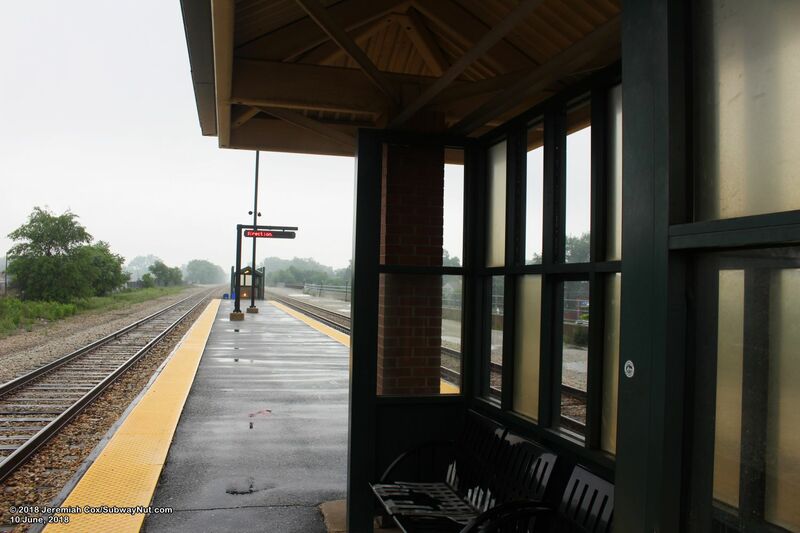 In the middle of the platform, between the two entrances, is a canopy structure with brick columns, that covers about a car length and includes some built in seating with winscreens behind these seats.